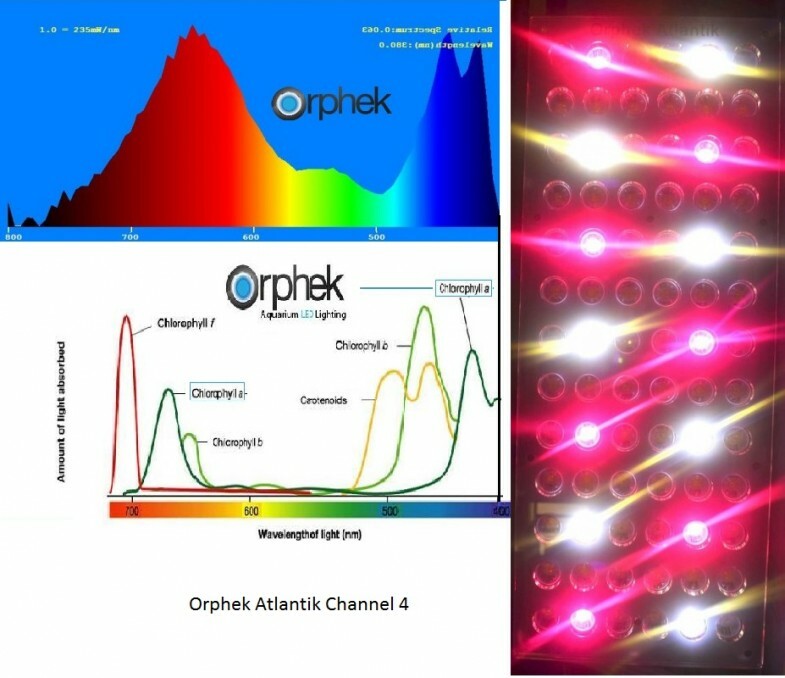 Orphek has already set the standard in the market for its advanced comprehension of color spectrum and its influence on coral physiology and once again the Atlantik V2.1 is another cutting-edge and groundbreaking technology, bringing a revolutionary change in the spectrum provided by Orphek diodes; by providing a real product developed specifically for the needs of photosynthetic marine invertebrates. 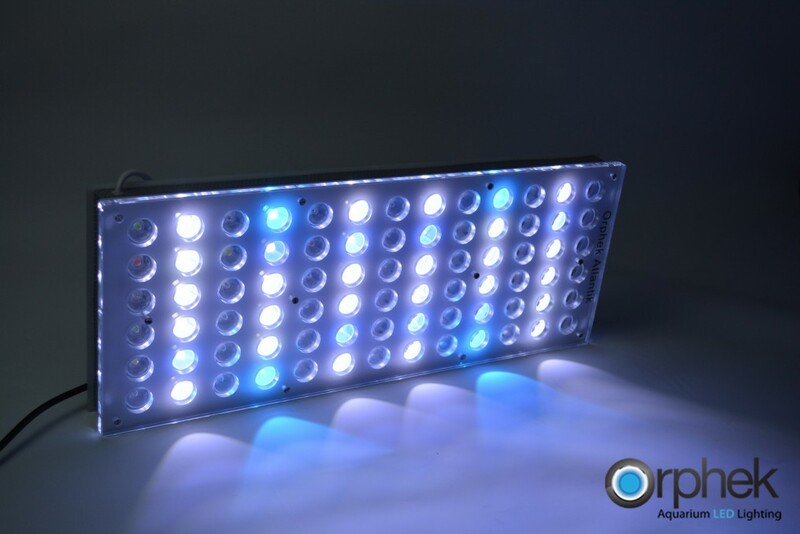 Orphek’s commitment to efficiency brought to the company a new challenge: How to improve our LED lighting systems in order to increase benefits by advancing in the field of spectrum control. 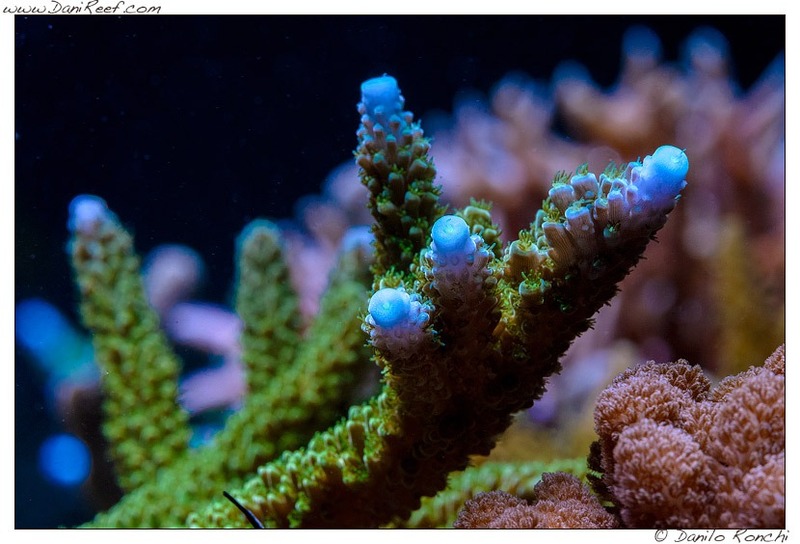 By being in constant contact with researchers and specialists around the globe, the Orphek Development Team gathered enough studies and information about chlorophyll density in corals and their relationship and influence on color and coral growth. It has been proven that corals cannot survive without chlorophyll A and they depend on it to receive the necessary nutrients to grow. 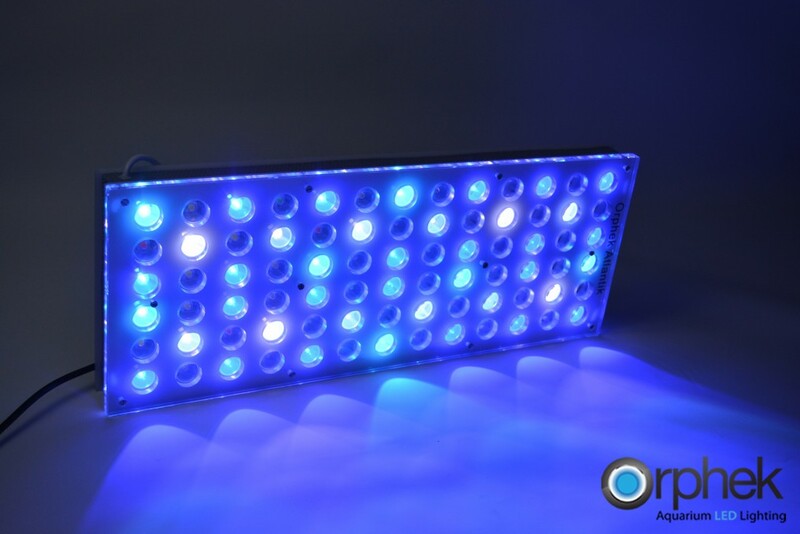 Crossing the data of biophysical properties X absorption of light X photosynthetic capacity X increasing of chlorophyll A levels, Orphek found the perfect light spectrum to enhance the photosynthesizing pigments commonly called zoanthellae. 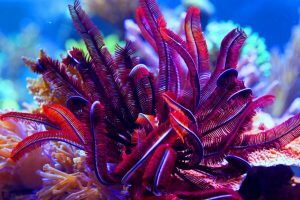 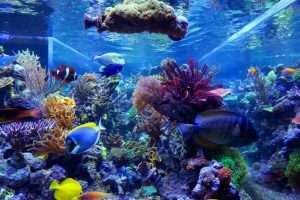 Determining how corals reflect and absorb light in different wavelengths it is possible also to examine and determine which optimal range is required to increase levels and therefore help corals to increase biomass and pigmentation and avoiding coral bleaching. 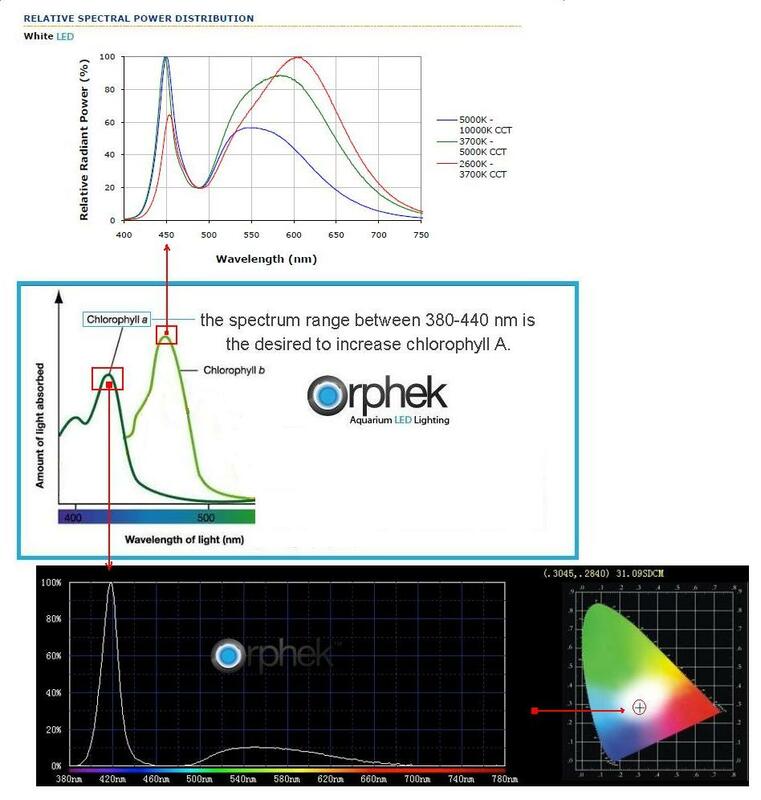 As shown in the chart above the spectrum range between 380-440 nm and between 670-650nm is the desired wavelengths to increase chlorophyll A.
Orphek’s major goal was to increase the lumens per watt in the lower spectrum range of 380-440 nm. The problem with common UV/violet diodes is that they provide only approximately 0.5 to 4 lumens per watt. 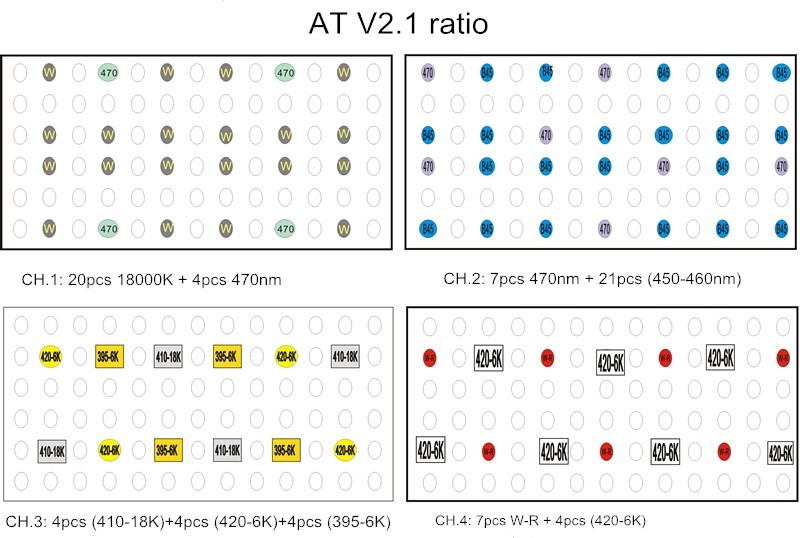 These wavelengths appear darker than other wavelengths to the human eye’s receptors. 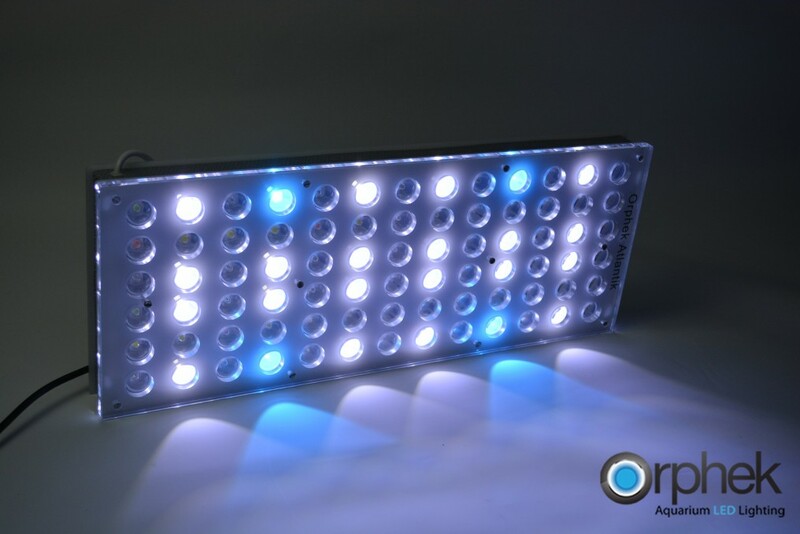 To overcome this problem of low Lm/w, Orphek developed a new wide spectrum white UV/violet LED with high intensity in the 410 nm and 420nm wavelength ranges with higher lumens per watt! 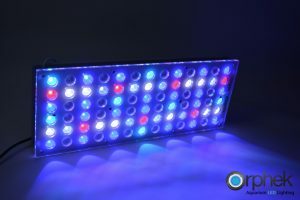 Orphek’s new wide spectrum white UV/violet LED increased the intensity of Lm/W by up to 15 times more than any common UV/violet LED. It means that Orphek is the only company that can provide you a cutting-edge solution that uses 19 UV/violet LED dual-chip Total of 38x 3Watt Chip In ATv2.1 which has never been achieved before by any other company without leaving your tank in the dark! 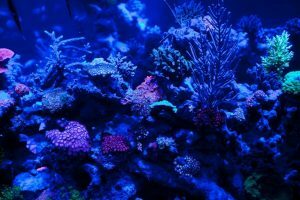 This is a major cutting-edge improvement and our contribution to the evolution of LED reef lighting. 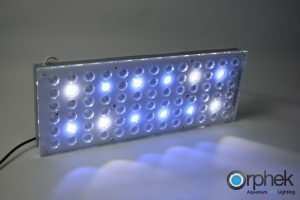 By using 19 UV/violet dual-chip LEDs we are increasing the amount of chlorophyll A. 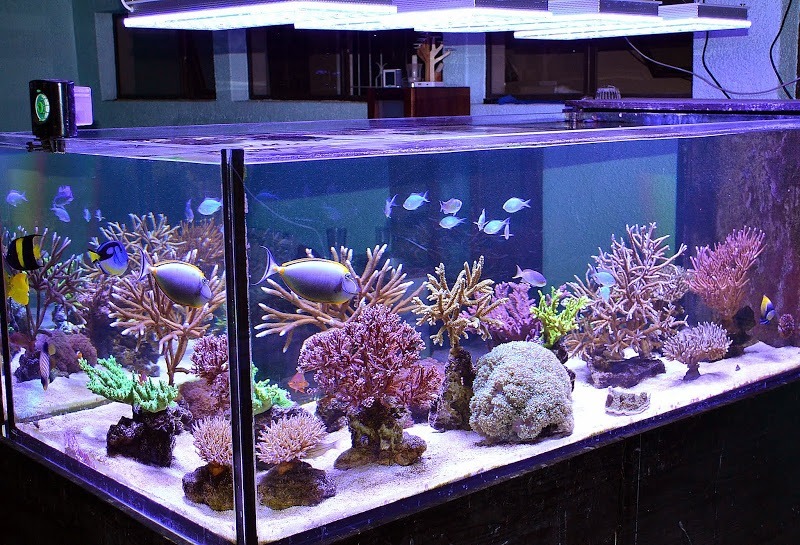 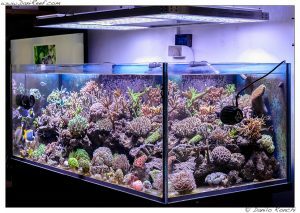 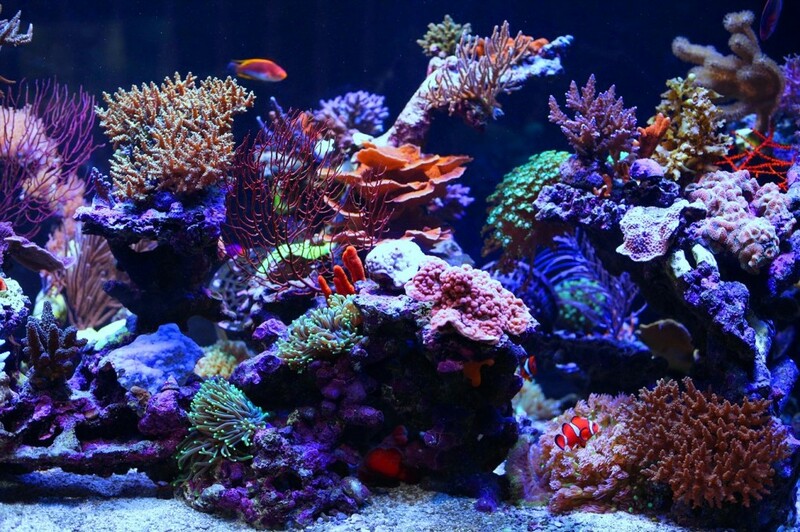 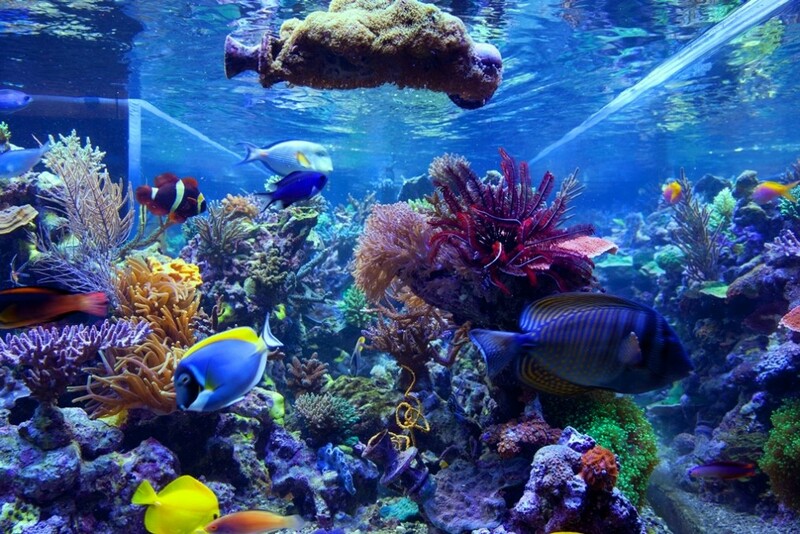 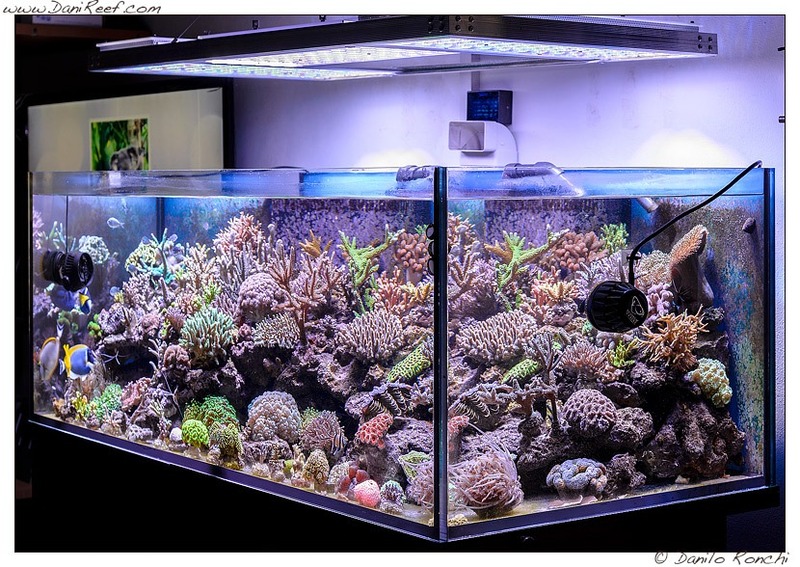 Therefore your corals will expand in biomass and will receive more pigmentation (growth & color). 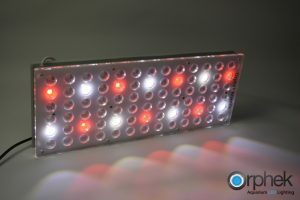 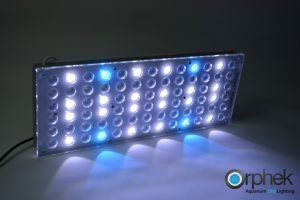 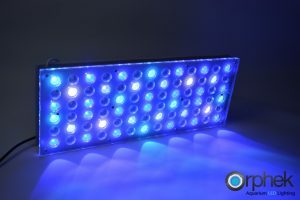 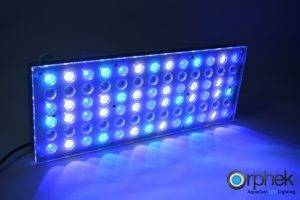 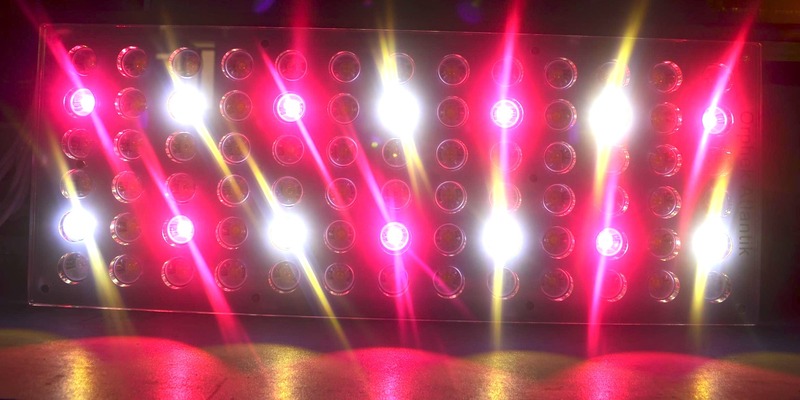 WHAT IS THE DIFFERENCE BETWEEN A REGULAR WHITE LED AND ORPHEK’S NEW WHITE UV/VIOLET LED? 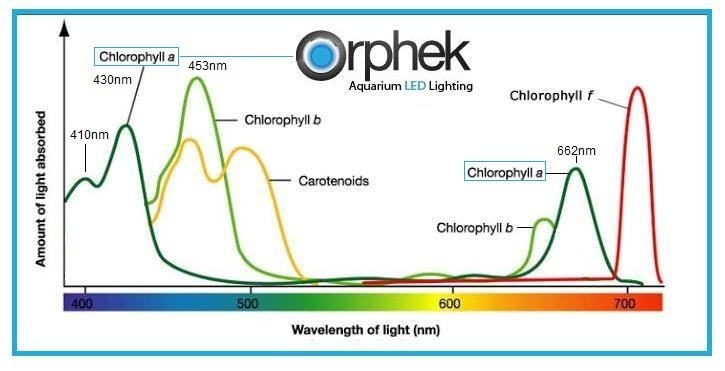 As shown in the chart below, in a normal white LED the highest given spectrum power is at the range of 450nm , which gives in fact Chlorophyll B (check chart in the middle) and not the desired Chlorophyll A that is given at the range of 430nm. 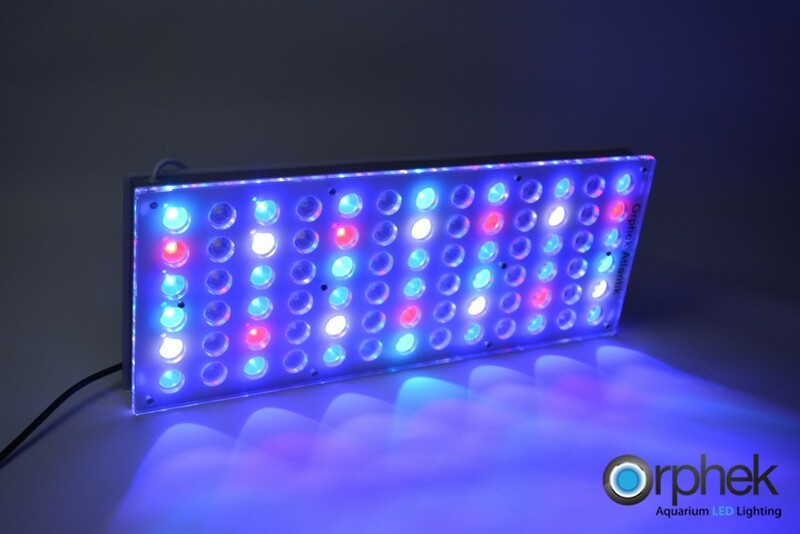 Orphek’s new white UV/Violet diodes accomplished to reach its highest given spectrum power at 410nm – 430nm, which is optimal to achieve the highest increasing levels of Chlorophyll A. 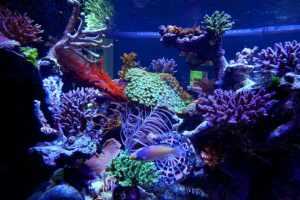 And there are further significant advantages! Another revolutionary improvement never achieved before is that our new Atlantik V2 Wireless fixture also comes with our wide blue and wide red LEDs. 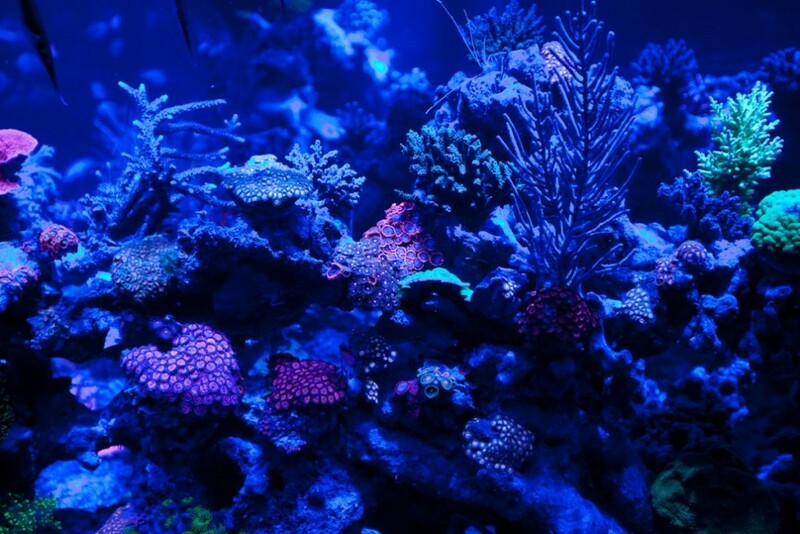 Our new blue/cyan LED increases the intensity within the 470nm-520nm spectrum, so your corals will also gain much more in terms of fluorescence! 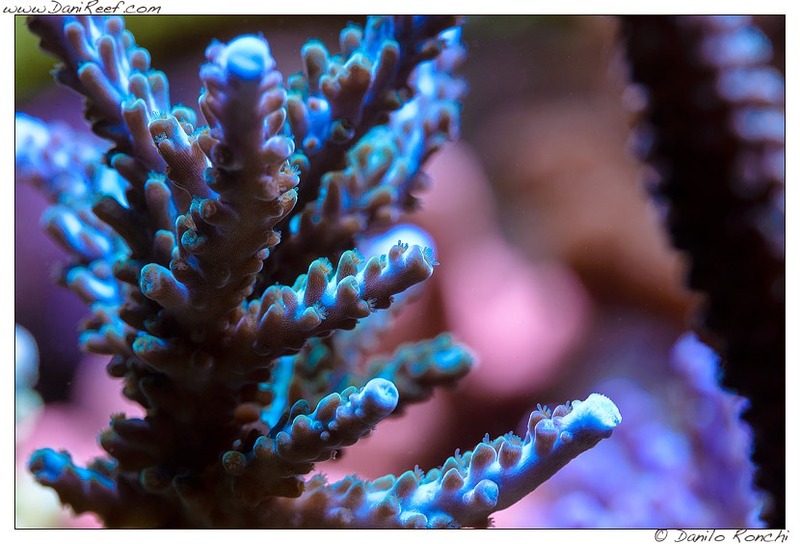 Our diodes also help corals to reach high levels of chlorophyll c2 and carotenoid pigments, giving corals vivid colors by increasing their optical absorption properties and reducing the risk of bleaching significantly! 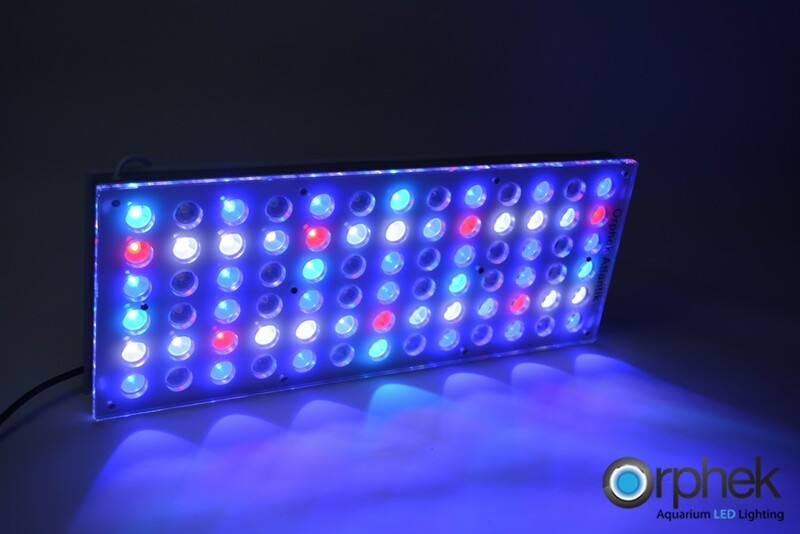 Atlantik V2.1 provides 15 different combinations allowing full color control and dimming from 0 to 100% of light intensity on each channel. 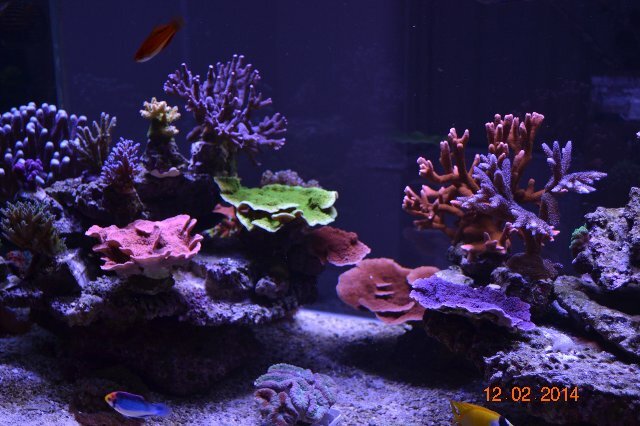 Check here at firsthand what each channel provides! 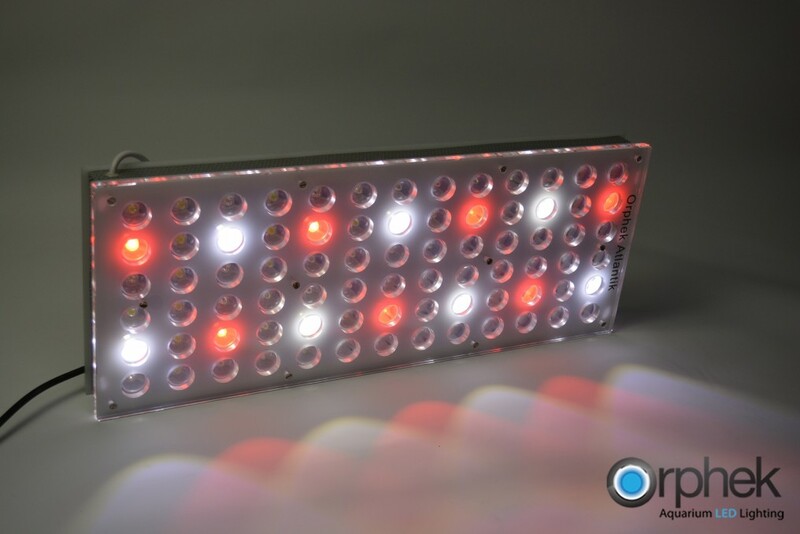 Channel 1 Provides its users with (20) 18,000K LED’s and (4) cyan 470nm LEDs. Channel 2 Provides users with (7) cyan 470nm LED’s and (21) 450-460nm LED’s for ultimate customization. 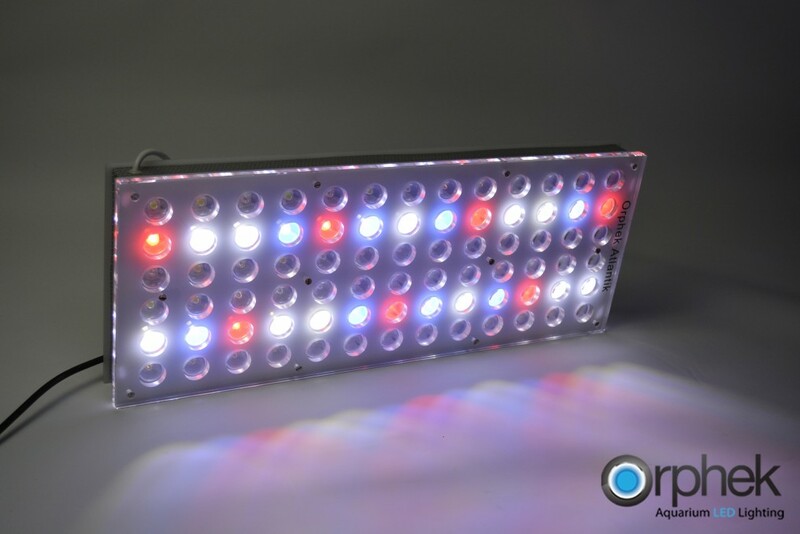 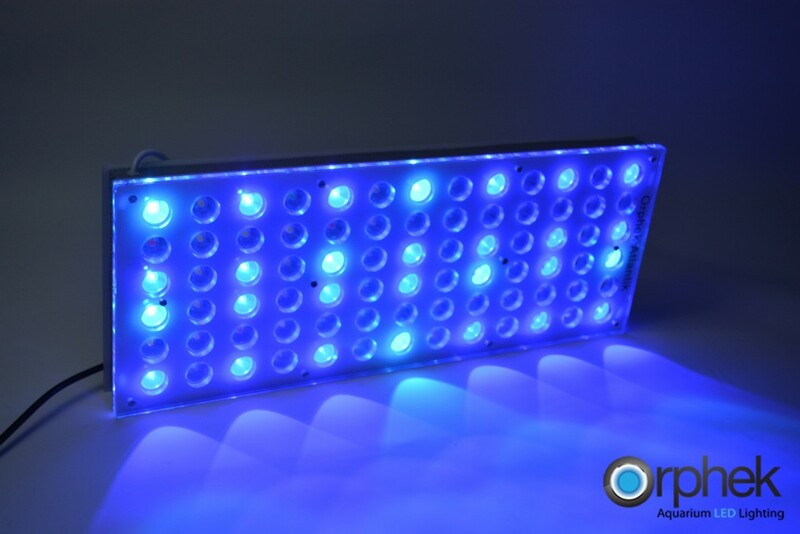 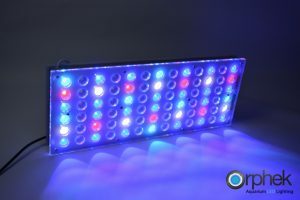 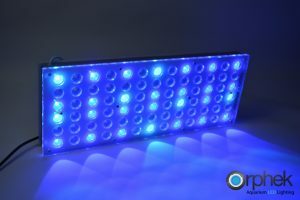 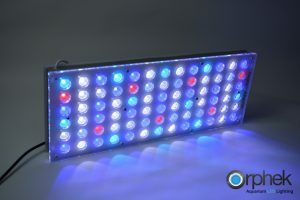 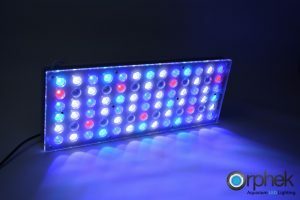 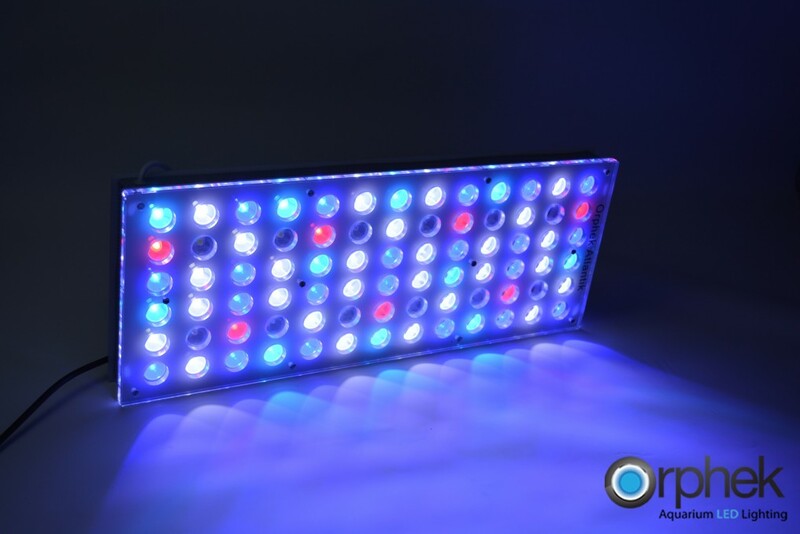 Channels 3 and 4 takes on an entirely new look applying dual-chip technology Wide spectrum White UV/violet to make a white LED with a peak at 395nm, 410nm, 420nm and at 430nm to supply corals directly with chlorophyll A and B, enhancing health and coloration. Adding red brings out the natural color tones of corals as well as providing coral with the much needed chlorophyll A and B but not so much to inhibit the growth of certain algae and cyano. 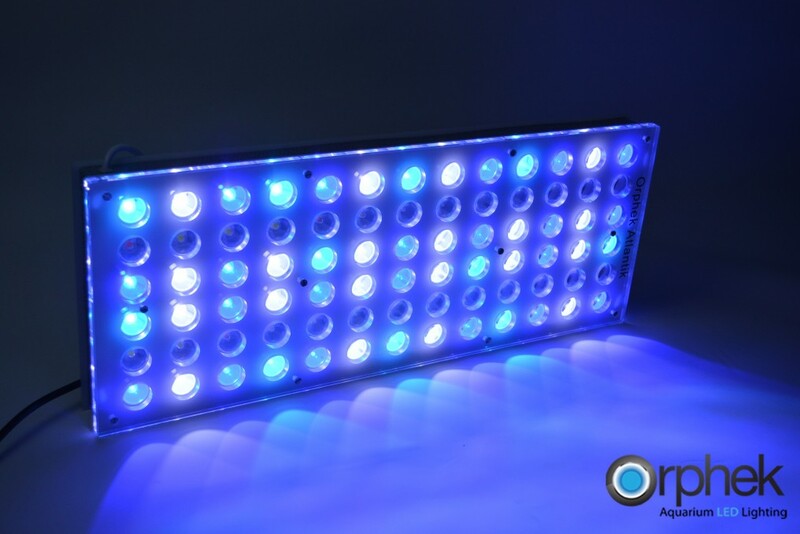 Please contact contact@orphek.com and one of our consultants will be happy to assist you.